When you need a pump with a little extra then look no farther than the Macie Cross Strap. 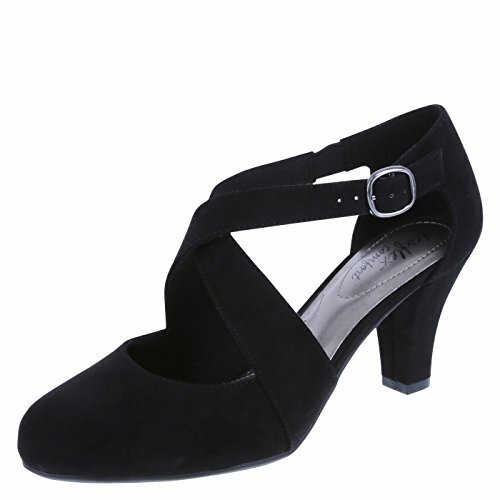 It features a fine faux suede with a cross strapped upper, an adjustable ankle strap with buckle, gore on both sides for comfort, an almond toe, soft jersey lining, cushioned memory foam insole for all-day comfort, 2 3/4" wrapped heel, and a rubber outsole. Manmade materials. If you have any questions about this product by dexflex Comfort, contact us by completing and submitting the form below. If you are looking for a specif part number, please include it with your message.